Working with local communities comes as second nature to Hodson Developments. We understand that if we are going to deliver new developments that meet the aspirations of those who seek to live in them and enhance the existing neighbourhood, then we need to talk to local residents, businesses and their elected representatives. We understand that our new developments have an impact on existing and future residents. So our approach includes community engagement, the sharing of our plans for new developments, listening to any concerns during construction, contributing to community activities and supporting local organisations. We are increasingly able to reach out to various parts of the community at a grass roots level to encourage wider participation in planning and development. We know it is our responsibility to contribute directly to the communities in which we work, and we take this responsibility very seriously. 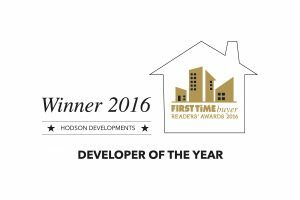 That is why Hodson Developments has a proud record of engagement and public consultation on its housing schemes. By seeking out local knowledge, and listening to local opinion, we have been able to build a fuller picture and adapt our plans accordingly. We believe that our new developments are much better for it, offering homes that are part of, not disconnected from, the existing local community. And although the delivery of those new homes is undoubtedly a priority, Hodson Developments is also focused on identifying the wider benefits that a new development can bring to a place. By working collaboratively in this way, we always hope to resolve any concerns and secure local consent.